Los Angeles is known in part for its sprawling freeways and heavy automobile traffic, yet 12 percent of the city’s trips are taken by foot or by bicycle. Among America’s largest cities, only New York has more pedestrian and bike traffic. Unfortunately, this also means that the number of serious accidents involving bicyclists and pedestrians are higher in Los Angeles. Indeed, 36 percent of all traffic fatalities in 2010 involved people who used these modes of transportation. Aside from being a practical way to get around the city, bicycles are fun and healthy. Unfortunately, bicyclists are especially vulnerable to serious injury when they are involved in collisions with motor vehicles, as they offer no external protection. Even the best protected bicyclist is susceptible to serious bodily harm when struck by a car or truck. Los Angeles personal injury attorney Edward Deason can help you if you or a member of your family has been harmed in a bicycle accident due to the negligent or deliberately wrongful actions of a motorist. Bicyclists have rights, and motorists have the responsibility to share the road. Attorney Deason can provide you with the aggressive representation you need to secure the compensation to which you are entitled. For further information about bicycle accident litigation or to schedule an evaluation of your case, please contact the Law Offices of Edward Deason today. Operators of motor vehicles owe what is called in legal terms a “duty of care” to bicyclists when they are driving. This means that drivers must be properly vigilant at all times and be aware of bicycle traffic. When a motorist fails to fulfill this duty of care and a collision with a bicycle occurs as a result, the motorist can be held liable for the losses and expenses arising from the bicyclist’s injuries. And identify the current and future losses and expenses, including medical bills, rehabilitation costs, pain and suffering, and lost wages, incurred due to the injuries. Los Angeles auto accident attorney Edward Deason has extensive experience investigating accidents and making sure that his clients obtain the full amount of damages they deserve. 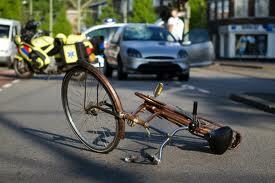 For further information about bike accident cases, please contact our personal injury attorney in Los Angeles today.